Where to stay? Click here. PAINTesity at Cable Car with his friends. Lels! 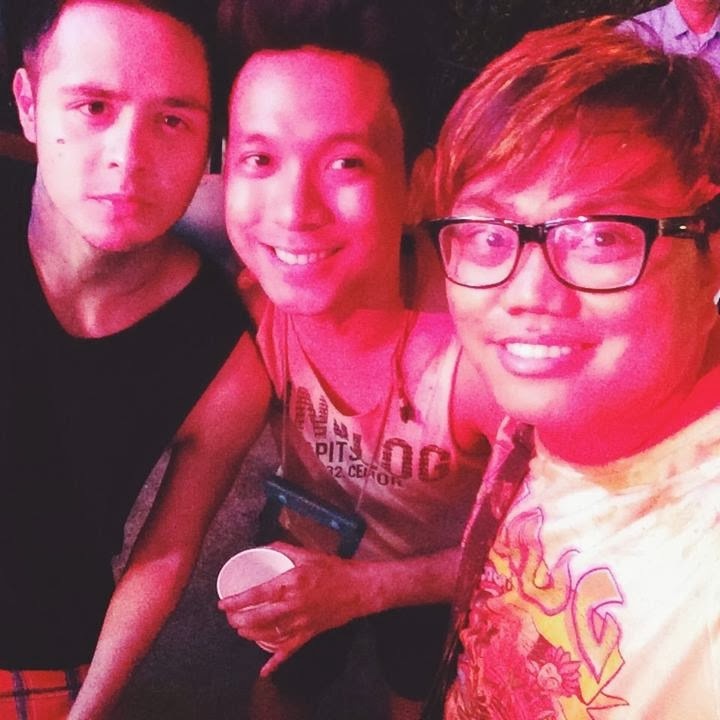 With Lloyd the Lostboy - Maniluuuuh Reprezzeeent! Garry Morata Castro Gorgoña's stalking skills. Haha! LifeDance - The Philippines' biggest outdoor, electronic dance music party happening this Sinulog 2014 presented by VIBER, "Connect Freely" and co presented by HUAWEI / Globe Postpaid the most anticipated installment of the LifeDance parties, will be held on Friday, January 17, 2014 at the Cebu Boardwalk, FF Cruz North Reclamation Area, Mandaue City, Cebu dubbed as LifeDance SINULOG 2014. 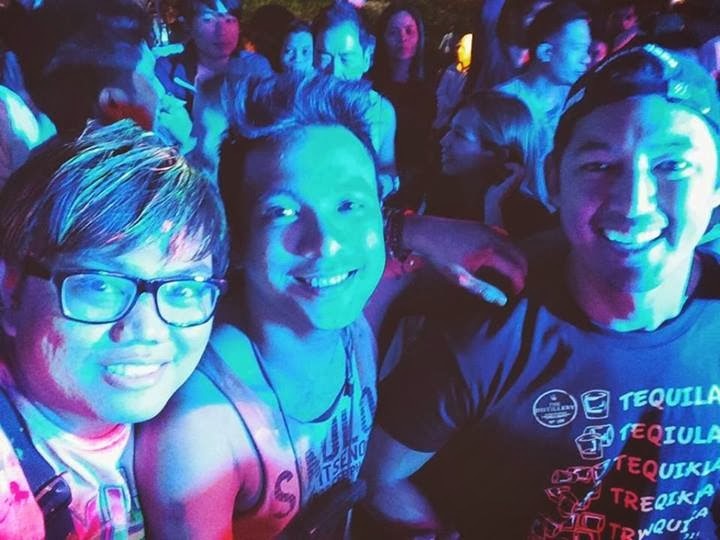 Life Dance is inspired by renowned dance parties around the world such as Tomorrowland, Zoukout, Sensation, Creamfields and Coachella that has garnered a huge following over the years. LifeDance, is proudly endorsed by the Department of Tourism, It's more fun in the Philippines. 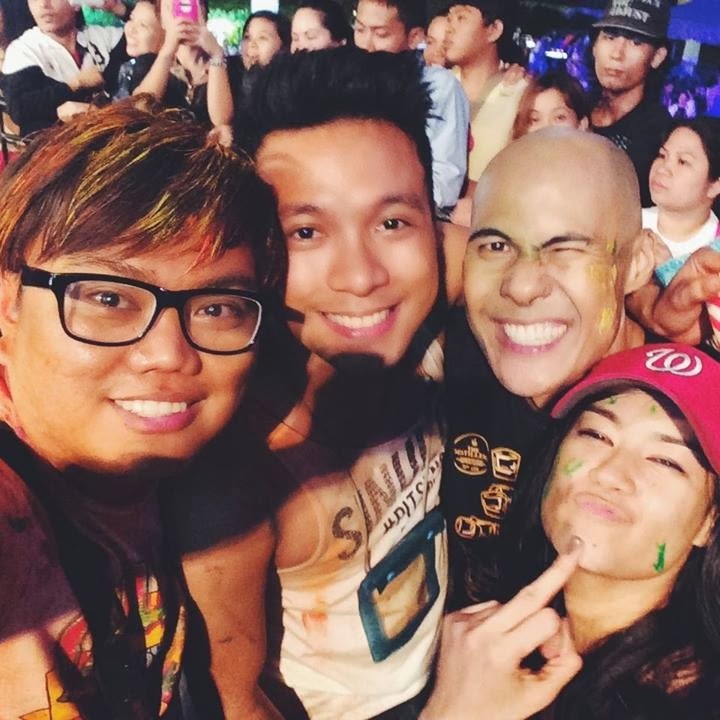 This Sinulog, LifeDance 2014 will showcase some of the Cebu's very own DJs: Patrick Rizzari, Steve Chadi, Polky Yu, Cathy Rock, Cris Nelson, Benny Rock, Joachim Giacobee, Gil Quirino and Christian Cuizon. 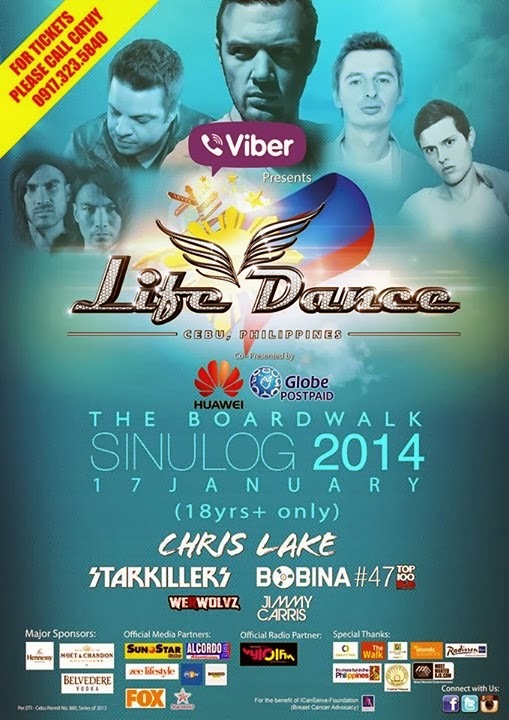 LIFE DANCE SINULOG 2014 2nd Teaser (with poster) from Life Dance Cebu on Vimeo. 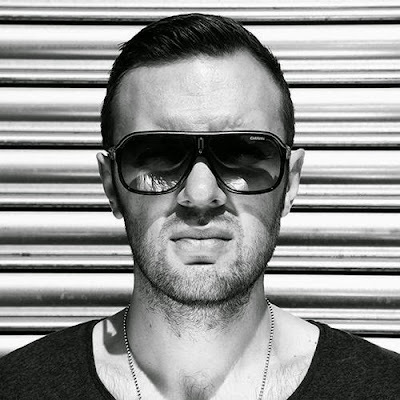 Over the past six years, English producer and DJ Chris Lake has traveled the globe indulging his audience in the deeper throngs of electronic music. With crossover hits such as ‘Changes’, ‘La Tromba’, ‘Only One’, ‘Sundown’ and ‘If You Knew’ as well as presence in the darker and deeper side of electronic music, Chris has become known as a ‘champion of creative freedom’. Signed to a worldwide deal with NY-based imprint Ultra Records, his most recent releases include ‘Black Thong’, (a collaboration with producer Michael Woods), and other single ‘Ohh Shhh.’ A career which is split in two with a major focus for Chris as the head honcho for his label, Rising Music. Rising has become an avenue to grow and support young and talented artists, and Lake has proved his A&R skills by signing talents such as Nom de Strip and TJR. Chris plans on spending 2013 continuing to tour the world, as well as releasing new music as a producer and supporting the acts on his imprint Rising Music. The Producer: Taking the name from the Russian word for a reel-to-reel tape, Bobina sprang to life in Moscow in 2003. Moving the act swiftly towards its first album, he released his freshman long-player, ‘Catchy’ in 2004. Bobina’s sound spread wildfire-like across his home country, turning ‘Catchy’ into the country’s first #1 electronic dance album. ‘Lazy World’, the first single taken from it was signed to the DeepBlue label in the UK and marked the first international step in Bobina’s career. In 2005 Dmitry followed this up with the vocal anthem ‘September Rain’ under the moniker Zenon. 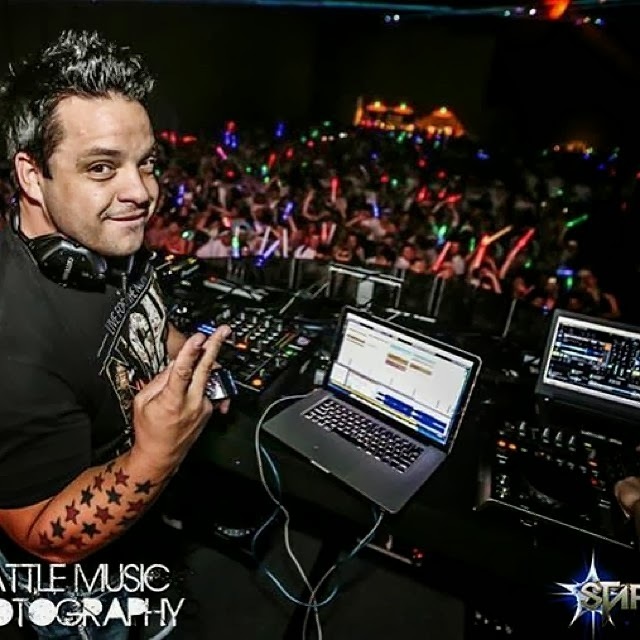 With A-list DJs Ferry Corsten, Paul van Dyk, and Paul Oakenfold wasting little time in picking up on the track, it was signed to the NewState/Maelstrom music group for a UK release. This deal ultimately paved the way for Dmitry to sign Bobina to the highly respected imprint. His 2006 follow-up album ‘Beautiful Friend’ posted week-1 sales in Russia of over 10,000 units and the video for the single of ‘Beautiful Friend’ made the Russian and the UK’s MTV network hotlists. After taking time out to begin establishing himself as a remixer (see below), in mid-2007 Bobina pushed forward with production on his third album, ‘Again’. ‘Lighthouse’, the first single taken from it enjoyed heavy airplay across Europe and earned Bobina the ‘Most Rotated Artist’ accolade at 2007’s RDMA’s (Russian Dance Music Awards). ‘Slow’ – an electro-trance cover of the Kylie Minogue hit – followed it in April 2008 and set the scene for the release of ‘Again’ the following month. Selling over 40,000 units in the first 3 months of release, it became Russia’s best & fastest selling electronic dance album to date. It has gone on to spawn the singles ‘Invisible Touch’, ‘Time & Tide’, ‘Lighthouse’ & ‘Honestly’. In September of 2009 the album for followed by ‘Again Remixed’. Featuring reworks of all the album’s tracks, it prompted DJ/producers like Ferry Corsten, Gareth Emery,Sean Tyas & First State to contribute reworks. In November both ‘Again’ and ‘Again Remixed’ were re-packaged to form a 2xCD set ‘Again – The Special Edition’ for the UK’s Maelstrom Records label. 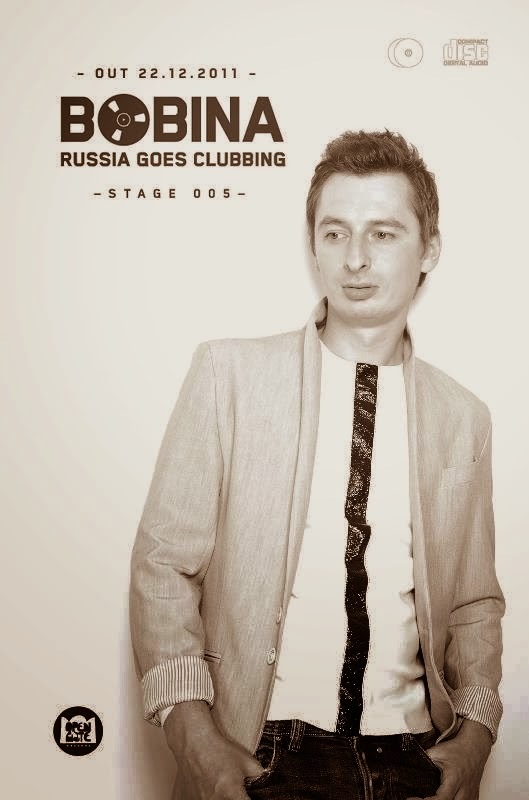 This made Bobina the first Russian electronic music artist to release an album outside their home country. Most recently with ‘Rocket Ride’ – his fourth studio album – Bobina commemorated the 50thanniversary of Yuri Gagarin’s first manned space expedition. In July 2011 the album took flight and saw Bobina dominate both radio waves and club floors with the singles ‘Angel of the North’ and ‘You Belong To Me’. 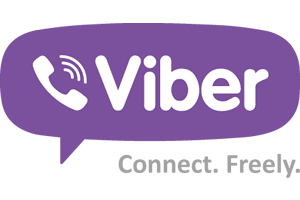 All tickets before January 15, 2013 are sold at 750php for General admission (1,000 Gate Price) and 1500php for VIP (2,000 Gate Price). Ticket goes with cocktail mixes at the redemption area. Dec 01 – Jan 31, 2014 Sinulog Street Fair, Osmeña Blvd. The crowd during the Novena Mass at Basilica del Sto. Niño - Cebu. Kapamilya Float for Sinulog 2013.